Most buyers begin their search for a new home online. Internet listings provide invaluable information about each house’s layout, design, amenities — even the character of the surrounding neighborhood. The unquestionable stars of the show, however, are your listing photos. Buyers may want to be treated to a virtual home tour before they commit to actually visiting a property for further inspection. But, no matter how comprehensive an online listing may be, nothing matches the experience of standing inside (and outside) and experiencing it for yourself. A great way to discover whether a home is right for you is to tour the home. Some buyers prefer to do open houses. This is where any prospective buyer can visit a property during a set period of time, typically on the weekend. However, touring a home on your own has many benefits. What is a Home Tour? A home tour is when you have an appointment to privately view a home. If you’re working with a real estate agent they will set these home tours up for you. If you are buying a for sale by owner home, you will coordinate this directly with the seller. The benefits of touring a home are that you can truly get an idea of what the home is like. The listing pictures are a good start, but nothing will take the place of actually setting foot in the home. You’ll get a feel for the layout and the condition of the home – not to mention the neighborhood too. While you can do this during an open house, doing a home tour on your own will really allow you the time to take everything in without other buyers present. If you’re buying a home, home tours are probably high on your to-do list. While most sellers will hold open houses on weekends, you might consider requesting one in “off” hours. Doing so will provide you with a different view of your prospective purchase. How different, though? More importantly, and why does it matter? Consider these 5 reasons. Get a better idea of traffic. Traffic is a major quality-of-life issue. But a home tour on a Sunday afternoon is hardly going to give you an idea how busy the residential streets around the property can be, especially during peak hours. Not to mention the traffic you can expect on your commute to and from what might be your new address. Request a visit during the week, perhaps around 6 PM, so you can get a realistic idea of what you’ll be facing when coming home from work or running errands. Experience location in a different way. Taking a home tour on a weekday can really reveal what “location” means for the home you’re considering. How well-cared-for are the rest of the homes on the block? What makes the neighborhood itself stand out? What’s a typical morning here like? What happens after dark? Take note of any safety concerns that arise during your visit. Remember: even if you don’t schedule a formal home tour, you can always scout out its surroundings. See light in different hours. It might seem negligible, but how light enters and moves through a house is a huge component in making a house feel like home. Know the orientation of the home. Which rooms face east, west, north and south, and how does that affect how comfortable you feel in different areas of the house? Does the morning sun shine directly onto your pillow? What if the glare from corner streetlight means you can never open the curtains in the living room? These might not seem to be deal-breakers, but they can be the worst kind of surprises — unpleasant. You can get basic room measurements from online listings, as well as overall square footage. But if you have an individual showing during an off time, you will have more time to take a few specific measurements that might come in handy. This especially applies to closets, storage areas and any rooms you anticipate you might be converting (say, from a spare bedroom to a home office). Have a more personal experience. Open houses can be crowded affairs. You may be only one of many potential buyers at a weekend open house. All that coming and going may even interfere with your ability to take pictures and notes. Scheduling a home tour during off hours will give you a chance to have a more relaxed, intimate experience of the home. You can ask the homeowner questions and perhaps spend extra time in each room. While you are at the home, make sure to take advantage of your time there. • What is your favorite part about your home? • How old is the home? • How much do the utilities cost on average? • Is there a homeowner’s association? If so, what are the fees? • How old is the electrical and plumbing? The roof? • Do you have a deadline to submit offers by? 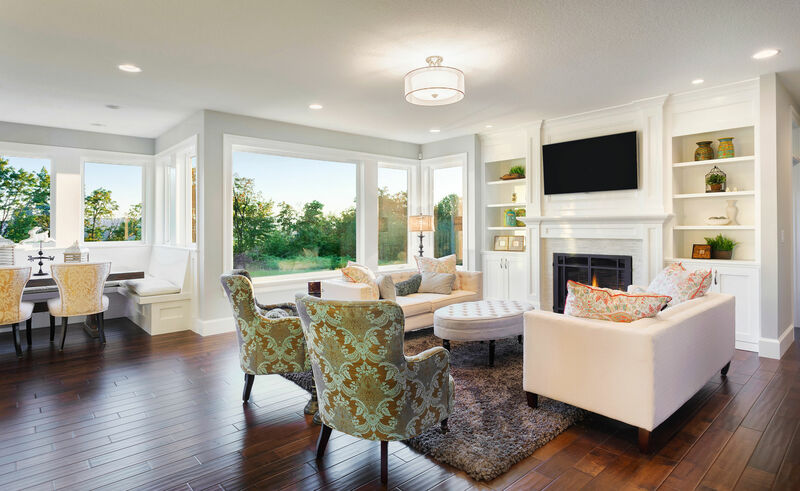 If you are touring multiple homes, it’s important to take notes so you can remember the key points about each home once you’re finished with the tours. Even if you are just looking at one home, it’s a good idea to jot things down so you can remember them afterwards. This will help you decide whether or not you want to make an offer. Consider writing down your likes and dislikes about each home. Bonus points if you take pictures or videos! Once you are able to take some time to digest everything once the tours are over, you may even think of some things you didn’t when you originally walked through the homes. A home purchase is a major investment, one you don’t want to rush into. Besides, if you do end up loving the home, establishing a more personal relationship with the seller is never a bad thing. Buying a house is a truly life-changing experience, and home tours are just one of many tools that can help you make a sound decision. Getting your sneak preview in during off hours might be the key to your making the most competitive offer and scoring your dream home. For more information, check out our tips on how to buy a home directly from the owner. Or if you’re ready to start searching for homes online, you can view for sale by owner homes here.